Looking for a special gift for your husband, boyfriend, son or a friend in Durban? Send the special man in your life a gift he’ll enjoy. Our range of gifts for men includes food and wine hampers, male grooming gifts, colognes and his favourite treats. 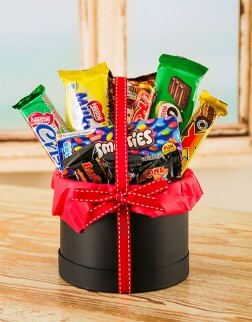 Gifts for him can be delivered the next day throughout Durban when ordered before 12:00pm. I would like to thank you for the warm, friendly and professional manner in which you assisted me with this order. I have already recommended you to a host of colleagues and will do so in future. I will definitely use you from here on in. Gail is so overwhelmed with the flowers and it definitely took her by surprise. Thank you for accommodating me in my "demands". You take care and I will speak to you soon.